I'm blogging today to link up with Lindsay Jervis and her Dollar Days of Summer! Lindsay has one of the best blogs around and is a great source of Kodály knowledge. I thoroughly enjoy reading about her classroom and her TpT products are top quality. To get some great $1 deals from Lindsay and others, head over to her blog and check out all the contributions! 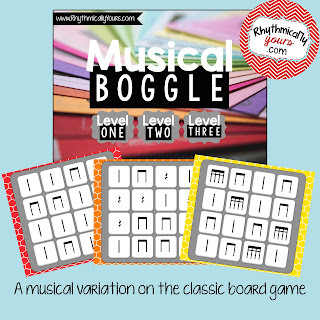 Mine is #19, which is one of my favorite activities.....Musical Boggle, Level 123! Think of the classic word game (you probably play a version of it on your smart phone) and change the letters into rhythms. BOOM! 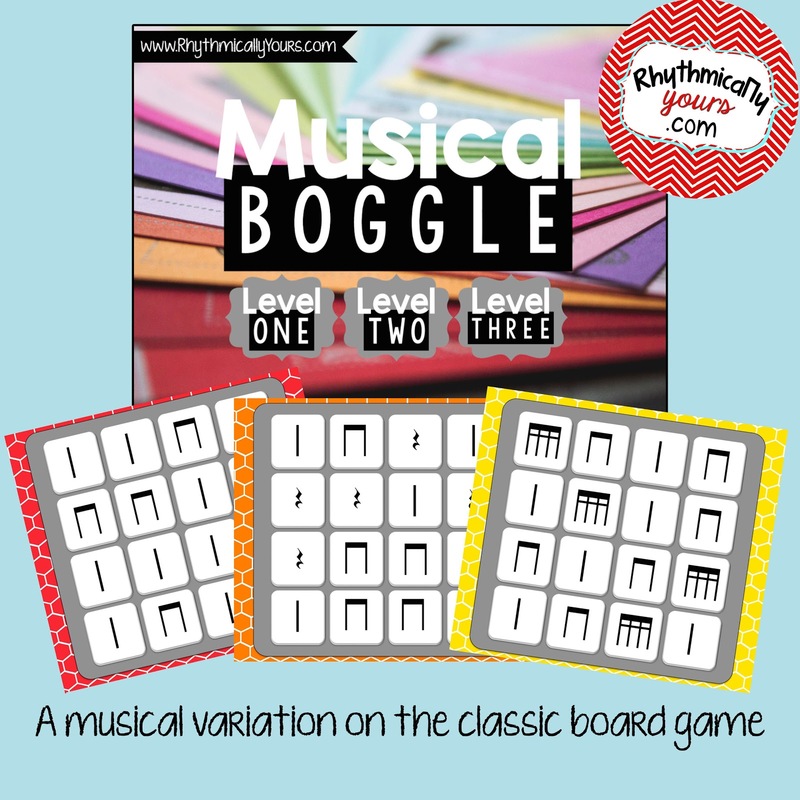 Musical Boggle! Connect four rhythms in a row to form a motive. Go horizontally, vertically, diagonally or even backwards.....all the traditional rules are thrown out the window! It's a fun challenge for your advanced students needing a challenge in rhythm-reading. Level 1-2-3 now includes the option of playing with or without noteheads!